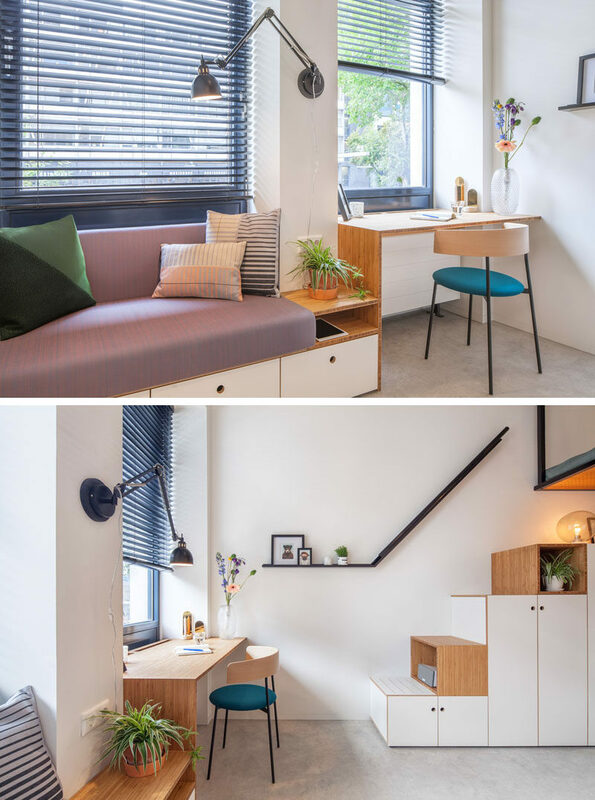 Standard Studio have designed the Hermes City Plaza Student Housing in Rotterdam, The Netherlands, that were inspired by the tiny house movement. 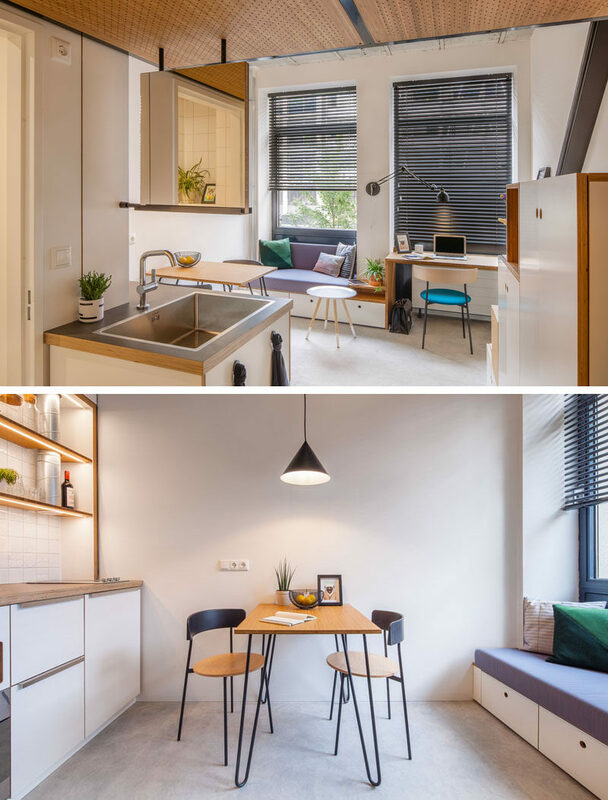 The challenge for them was to turn a 193 square foot (18m2) space into a complete home for a student. In this case, “complete” means it is fully equipped with a toilet, shower, vanity, kitchen, dining table, desk, sofa, queen size bed and storage space. 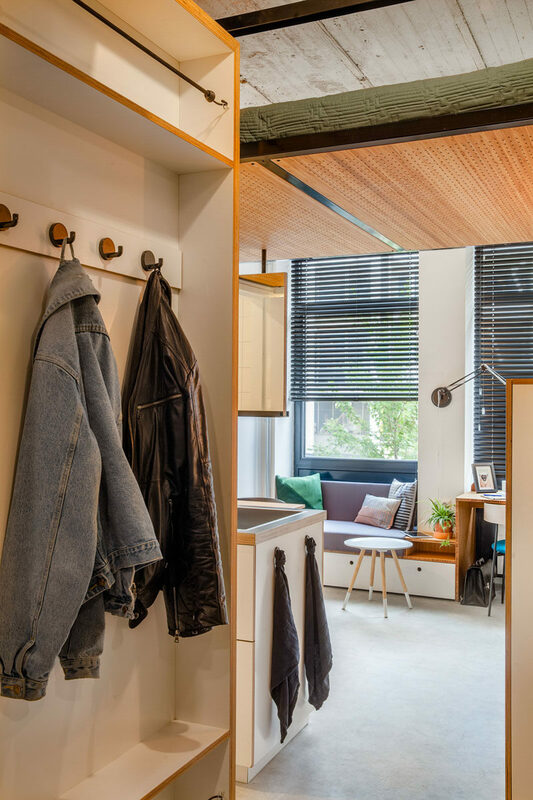 As the apartment offers no space for a vanity unit and a sink in the kitchen, both have been combined. The sink is divided by a floating panel which is on one side a sink with mirror. And on the other side, it is a sink in the kitchen with a chalkboard. 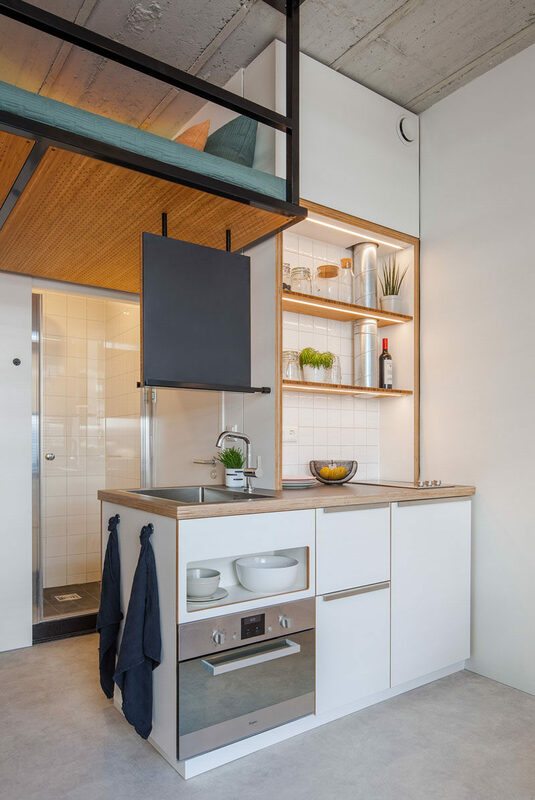 Here’s a closer look at the kitchen that features a shelving with lighting to keep the area bright. Bamboo is preferred over other types of wood because it is strong, durable and light, yet has a warm appearance. 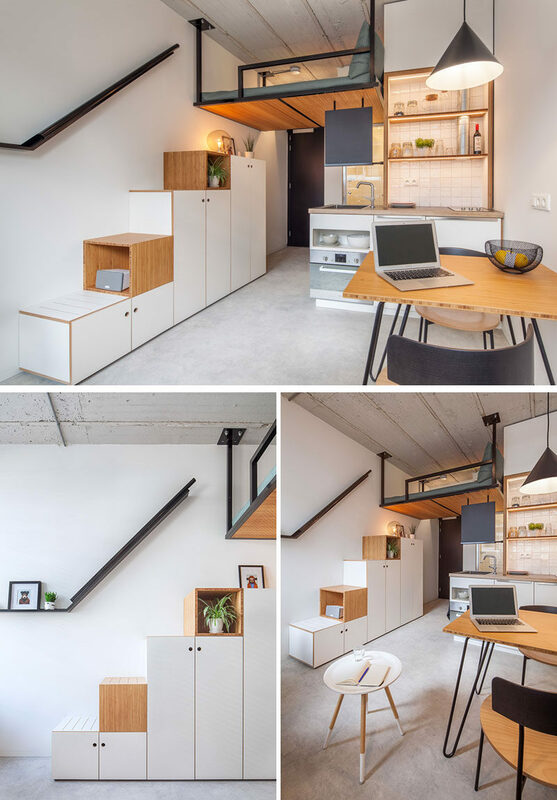 The designers made a built-in couch and desk unit that runs along the windows. 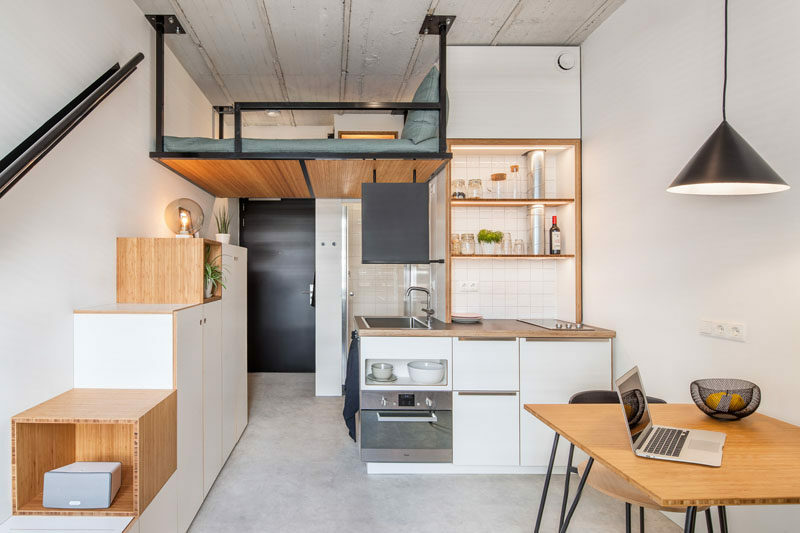 Because of the wish for a queen size bed in the space, the designers used the height of the former office building to attach the bed to the ceiling, hanging 3 meters above the floor. A large wardrobe does double duty as storage and due to its design, it also acts as a sturdy staircase to the bed. 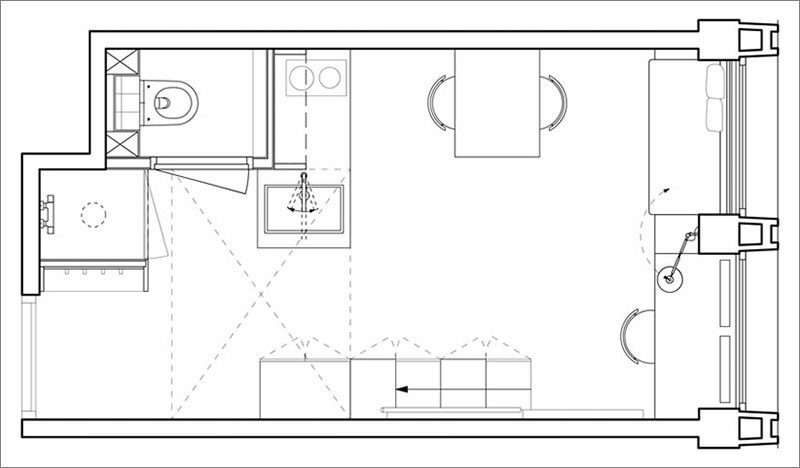 Here’s a look at the floor plan that shows the layout of the small space.